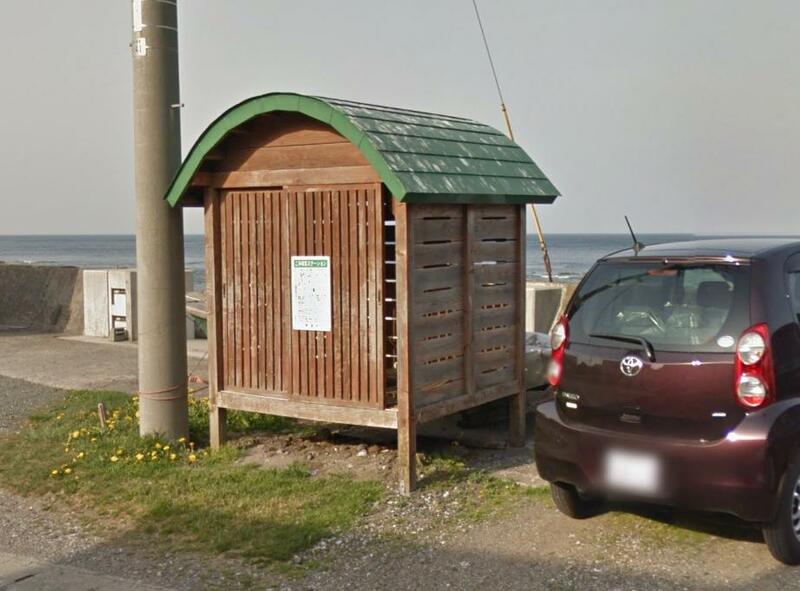 I stumbled across a small Japanese village (in Higashidori, Aomori) whilst playing GeoGuessr. Along the main road you can find this brown boxes, they are elevated slightly above ground and have green curved roofs. They appear to have sliding doors but I can't see anything inside them. The exact location for the box below can be found here. If you follow the road, you can find more boxes with the same design. They are close enough that you can sometimes see the other box from where you are standing. They can be found on both sides of the road and go from the coast up to the hills. On the front of each box is a notice, but I'm unable to read the text. I finally found one of these boxes that had clear enough text. It looks like these boxes are called ごみ収集ステーション which translated is 'Garbage Collection Station'. 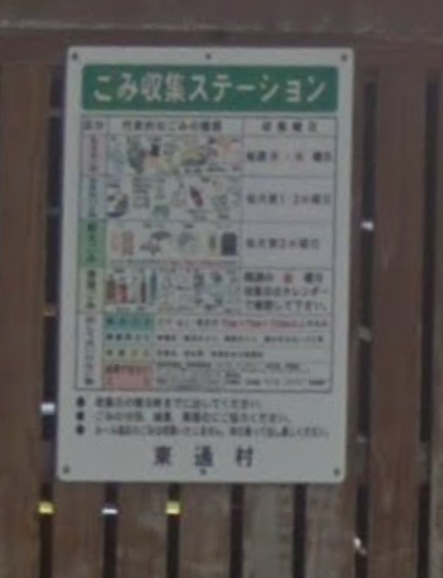 It looks like the notice is also describing different types of waste and explaining how they are sorted. Perhaps collections are picked up on different days depending on their type. According to this website for foreign residents living in Japan, bagged trash must be taken to a designated pickup point.